JYOTIRBIDYA BISHARAD PRASANNA KUMAR MAHAPATRO ,M.A.B.ed. 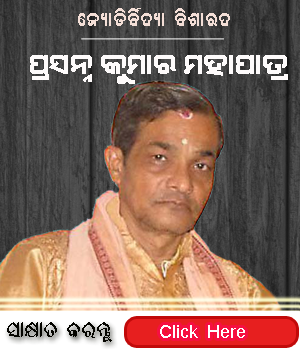 ASTROLOGER,Reporter & Rasiphala writer to DHARITRI. JYOTIRBIDYA BISHARADA,JYOTISH SHREE TANTRA BIDWAN MANEE .